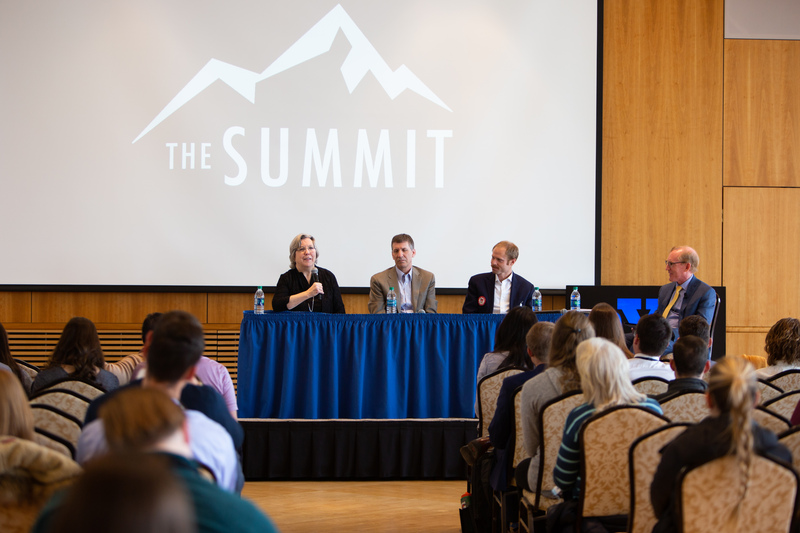 Over 700 people attended the BYU Student Alumni’s fourth annual Summit event, a campus-wide leadership event that hosts successful BYU alumni, on Feb. 8-9. Art Rascon, a journalist for KTRK-TV in Houston, Texas, was among those that spoke at this year’s event. Rascon was named one of the 100 most influential Hispanics in America by Hispanic Business Magazine. This was Rascon’s first time speaking at the Summit. Rascon said he hoped the leadership event influenced students for good, especially in a religious aspect. Rascon said he desired for the students to realize their spiritual and professional lives are not two separate lives, but two aspects that work together, ultimately making individuals a stronger force in the work field. Rascon was the first to speak at the event on Friday evening and explained four key foundations that led to success in his career. 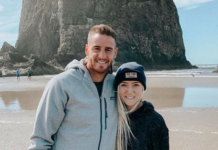 According to Rascon, those four things were his parents joining The Church of Jesus Christ of Latter-day Saints and raising their children in the gospel, serving a Church mission, attending BYU and marrying his wife, Patti Rascon. Rascon told the story of an experience he had while reporting on a tsunami in Indonesia in 2004. He found a young man who survived the tsunami by hanging onto a tree for dear life. Rascon said the tree the young boy held onto had a foundation strong enough to withhold two waves from the great tsunami. Rascon related this anecdote to the gospel of Jesus Christ by stating the foundation of the tree, much like the gospel, keeps followers of Christ alive and in the right direction. According to Rascon, the greatest leaders will always be the greatest followers of the gospel and have a better understanding of revelation. “You can’t have the amount of accomplishments that you could have without the gospel,” Rascon said. After Rascon’s conclusion, Banyan CEO Carine Clark spoke of leadership and her experience with cancer. Clark received both her undergraduate degree and her graduate degree from BYU after attending high school in Germany. 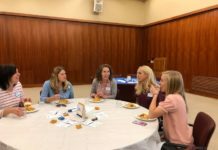 She commented on the greatness of BYU and said there is a “brotherhood and sisterhood, a commonness and likeness” among the students on campus. According to Clark, during her battle with cancer, she decided she would live differently and that the only way to endure it was to trust God. 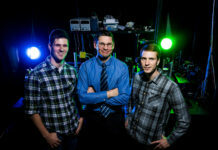 “Decide today — live better, differently and be unoffendable,” Clark said. Clark spoke of what it takes to be unoffendable and claimed it helped her to become the great leader that she is today. She said people must stick to their program of being unoffendable. According to Clark, everything has to be let go because the Atonement of Jesus Christ paid for everything, including her cancer and everyone’s loss and pain. 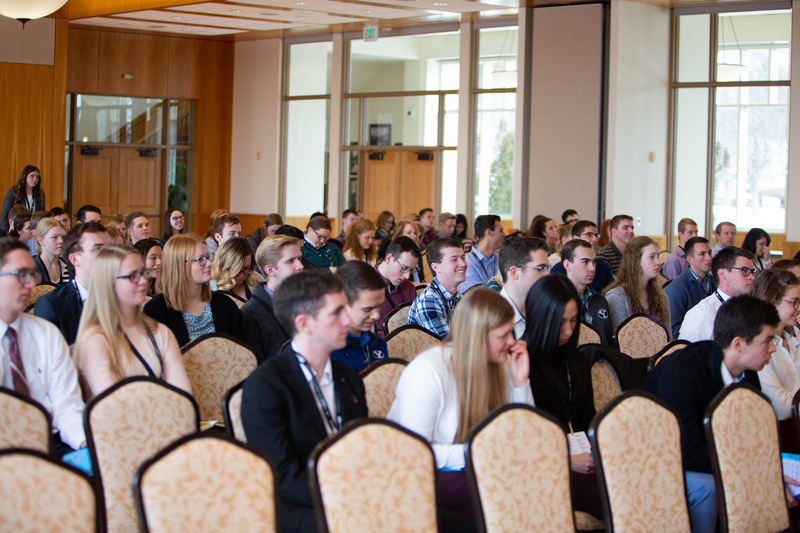 BYU MPA Program Director Lori Wadsworth spoke at the Saturday morning session about the need to step outside one’s comfort zone to become a leader. Emcee Todd Hollingshead told the audience the experiences they heard and received from the event were special ones.